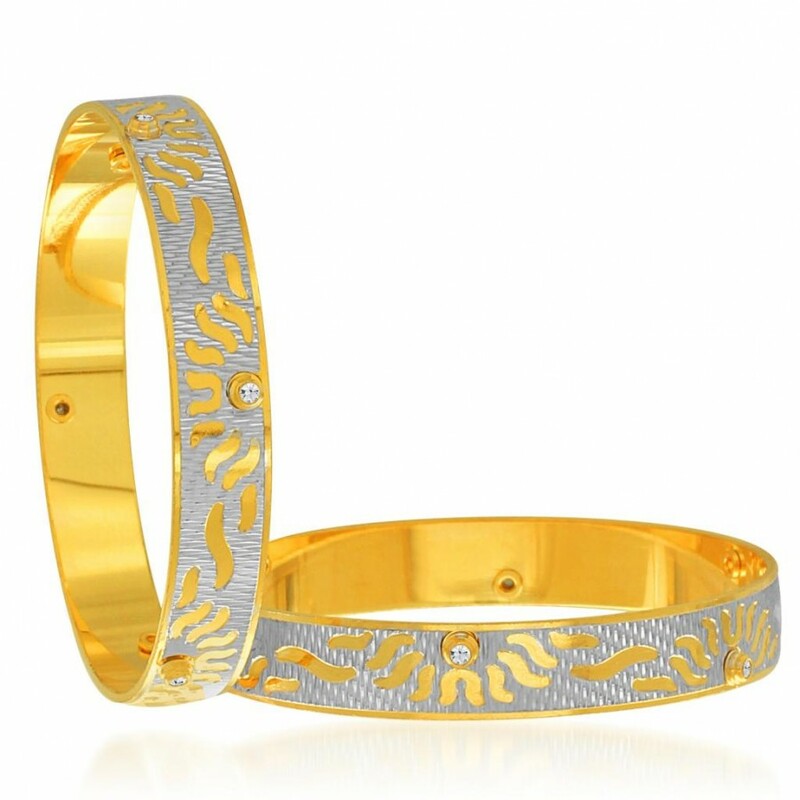 This Sukkhi Angelic Gold and Rhodium Plated Dancing Bangles for Women is made of alloy. Women love jewellery; specially cubic zirconia stone jewellery adore a women. They wear it on different occasion. They have special importance on ring ceremony, wedding and festive time. They can also wear it on regular basis . Make your moment memorable with this range. This jewel set features a unique one of a kind traditional emblish with Cubic Zirconia and beautiful gold plated finish.